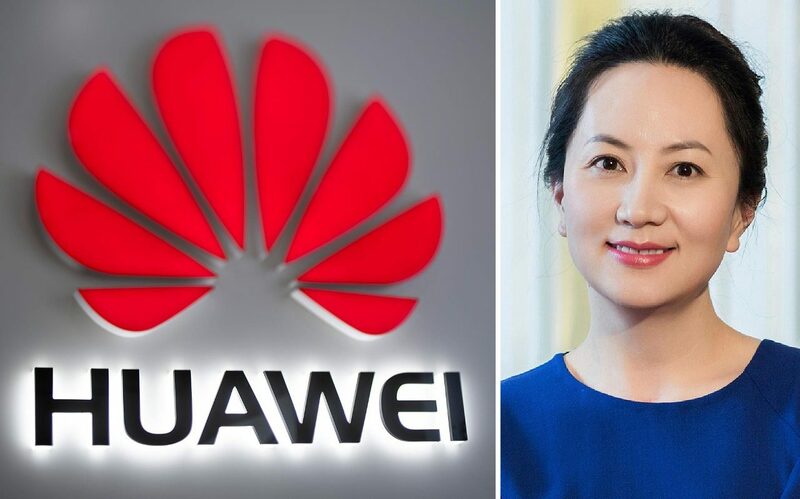 Huawei CFO Meng Wenzhou, daughter of the company founder, was arrested in Vancouver, Canada on Saturday at the request of US authorities. The arrest, unfolded on the same night that President Trump and President Xi Jinping of China agreed a trade truce, is likely to intensify tensions between the world’s two biggest economies. Huawei, China’s largest telecom equipment maker, has been under investigation in various nations including the United States. However, the reason behind the arrest of Meng Wenzhou remain an enigma but unquestionably it isn‘t about one woman or one company, it must be related to National Security threat by Chinese tech companies. The Chinese tech companies face intense scrutiny from many Western nations over its ties to the Chinese government, driven by concerns Beijing could use it for spying. In April, the Pentagon banned Huawei and ZTE, China’s second-largest Tech company, on military bases around the world due to potential security risks. The Director of National Intelligence alongside the heads of the FBI, CBI, NSA, Defense Intelligence Agency testified on the potential security risk posed by Chinese telecommunication companies. Under the leadership of Ren Zhengfei, founder and president, and CFO Meng Wnzhou, Huawei has grown into a powerhouse over the last decade. Its equipment is the backbone of mobile networks around the province. However, the accusation against the Chinese tech company hasn‘t been proven yet. A Chinese Foreign ministry spokesperson said the arrest of CFO violates a person’s human right as they have provided no substantial reason. According to China Daily, United States have been trying to do whatever it can to contain Huawei’s expansion in the world. Some believe the incident is a part of the trade-war and a broader conspiracy to keep down China’s technological development over its rival- the United States. Japan is the latest country to ban government use of products made by Huawei and ZTE over cybersecurity concern. The analysts believe other nations like Australia, New Zealand and India would follow the same step. US Security Adviser John Bolton said the US had enormous concerns for years about the practice of Chinese firms to steal American intellectual property, engage in forced technology and information transfer and use the same for spying against the American government. China has long been accused of efforts to target U.S. government, military and commercial entities with spying including cyber-attack. According to the US government, Chinese theft of American IP currently costs between $225 billion and $600 billion annually and thousands of jobs. In retaliation to the Intellectual Theft, President Trump slapped tariffs on $50 billion worth of Chinese goods- the beginning of the Trade war between the two countries. China has opted for various innovative methods to obtain U.S. technology. The latest espionage case occurred in October where a Chinese spy was caught stealing US Aviation Trade Secrets. For past decades several big companies like The New York times, Apple, Google and more have been a victim of Intellectual property theft and cyber-attack originated from China. However, China has always denied such accusation. The reason behind these espionages is to acquire technologies to bolster economic growth, modernize its military, increase export and use the same front to spy on the federal government. The loss of sensitive information and technologies has been a significant threat to US national security. Irrespective of arresting and detaining several Chinese spies, the US law enforcement agencies were unable to gain substantial evidence to back up their theory. With this limelight arrest, the US government is under inexorable pressure to extract the truth from Meng Wenzhou about the allegation made by National Security personnel. Detaining the CFO of Huawei without providing any substantial proof or reason would threaten to derail the tenuous trade truce between the United States and China. Experts have warned that what happens with Meng’s case could have huge implications for the broader US-China relationship. It is understood that China has an insatiable quest for global recognition as a technology and supreme power. Tensions have been rising between Washington and Beijing, not just on Trade. China firmly demanded the immediate release of Huawei CFO as they believe she hasn’t disobeyed any US or Canadian law. With the limited time available, US law enforcement agencies need vast intelligence and connection of Huawei’s involvement in spying and sharing information with the Chinese government. Meng’s case demonstrates exactly why the National Security agencies need an advanced neuroscience technology that can tap inside the human brain and provide accurate intelligence. An only possible way to extract the truth about Huawei is the information concealed inside Meng’s brain. The existing conventional tools like interrogations or polygraph which are opted by National security personnel in such critical situation to gain specific information do not guarantee accurate results and are time-taking. These outdated tools also fail to reveal what specific information is stored in the suspect’s brain. The main task of National Security is protecting the nation’s interests from enemies both known and unknown. The iCognative, developed and designed by Brainwave Science, is one such technology that provides a scientific and legal way for the national security personnel to tap inside the human brain and reveal what specific crime-related information he or she possesses with over 99% accuracy. iCognative technology provide the best weaponry in such national security threat where physical evidence and time both are limited. iCognative technology is based on the scientifically proven and approved P300 and P300-MERMER brain responses, which only activates when a suspect sees an information that his/her brain already possesses. In the case of Meng, US intelligence agencies can conduct a iCognative test that can determine what specific information about Huawei, the suspect is trying to conceal. Information such as what classified information was shared, has Huawei product have any secret recording and monitoring devices, has the company ever spied on any of US citizen, involvement in any previous Intellectual property theft case, the relationship between the company and Beijing, etc. would be easily available for National security personnel to investigate once the test is completed. An assigned investigator uploads all the investigate details related to Huawei, ZTE and other arrested Chinese espionage agent gathered through investigation into the iCognative system protocol. The system records and analyzes the brainwave responses of Meng when confidential information is flashed on a digital screen and determine what information she possesses and trying to conceal from the investigator. Brainwave Science’s iCognative can be a game-changing approach for US National Security agencies, especially when illegal intelligence-gathering has become a constant threat. iCognative is the only technology available in the security market that guarantees positive and swift results in such national important case.